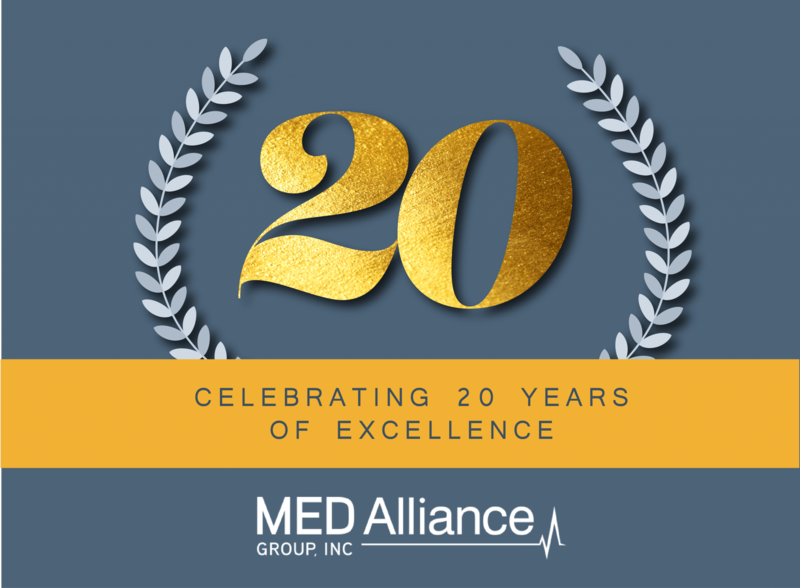 MED Alliance Celebrates 20th Anniversary - MED Alliance Group, Inc.
MED Alliance recently celebrated 20 years of serving the medical community with high-quality products and unmatched customer service. This milestone anniversary gives the MED Alliance team an opportunity to reflect on the growth we experienced as a direct result of the hard work and dedication from those we are lucky enough to work with. We would like to thank our customers and partners for their loyalty and commitment through this journey, and for being an integral part of the success of MED Alliance. Our customers, partners, and employees are the backbone of our business, and our growth would not be possible without their continuous support. Since its inception in 1998, MED Alliance has strived to distribute innovative products to healthcare providers that enhance the quality of care and patient outcomes. What originally started out as a small business with just five office staffers and four sales representatives has now transformed into a national company with three divisions that distribute cost-effective medical devices across the United States. MED Alliance has continually evolved its business to see steady year-over-year growth and stay relevant in the medical community. During the past 20 years, MED Alliance has expanded its office three times, become ISO certified, and maintained growth and profits through efficiency and great staff. Thank you to all that have contributed to our achievements. We look forward to another 20 years of progress with your continued support! MED Alliance Solutions is an ISO 13485 certified medical device distributor and has been dedicated to meeting the needs of our clinical customers and manufacturing partners since 2007. We specialize in the sales, marketing, importation, logistics and distribution of innovative, high-quality and cost-effective cardiovascular and cardiothoracic medical devices on a national basis. Please follow us on LinkedIn, Facebook and Twitter for product updates!